Fall is all about the organic beauty of the world. The soft wind, dropping temperatures and cozy fabrics are all a part of the warm and romantic essence of the season. 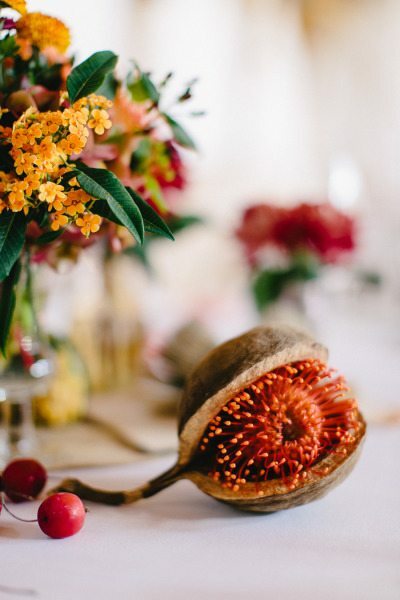 If you’re planning a wedding that pays homage to autumn, it’s essential that your florals follow that same feeling and style. 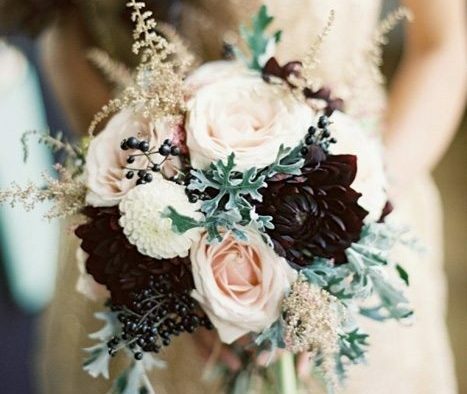 That’s why we’re sharing 5 beautiful bridal bouquets that hold 5 of the best fall florals. Let’s take a peek! There’s no resisting the charm and happy grins that a single sunflower can bring. Bind several together to create a bouquet and you’ve got a perfect fall-flavored recipe. 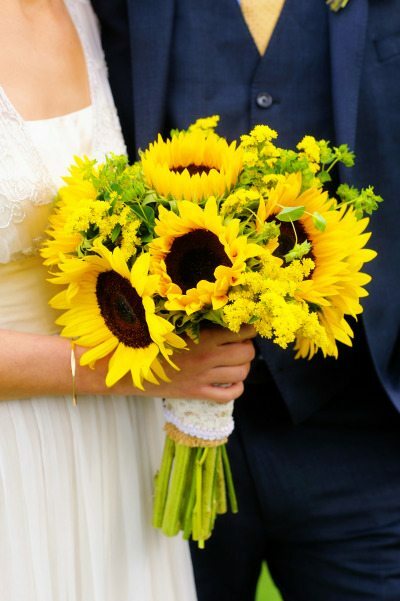 These florals evoke a sense of warmth and happiness, which are a great way to celebrate your vows, don’t you think? These rich, sophisticated flowers help to create that welcoming and mysterious spirit a fall night can bring. 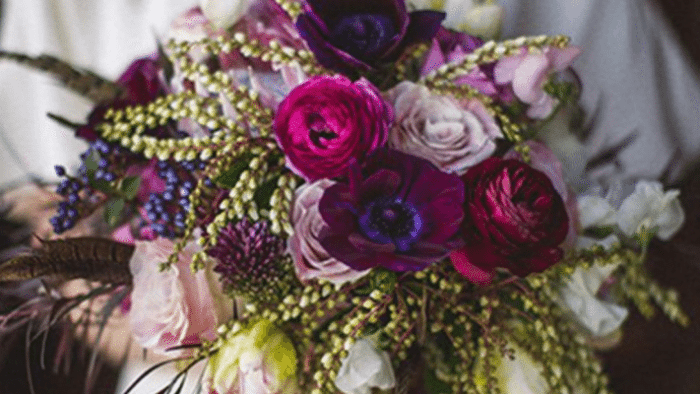 For more formal or evening celebrations, try carrying an arrangement set off by these beautiful, plum petals. 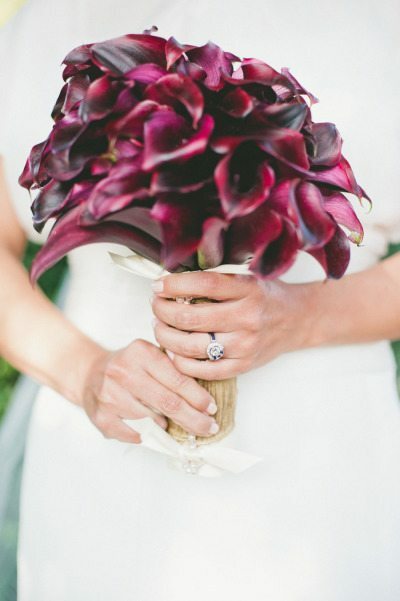 As a traditional symbol of marriage, calla lilies are one of the most popular wedding flowers. This glowing yellow is a perfect way to offset the colors of the fall. 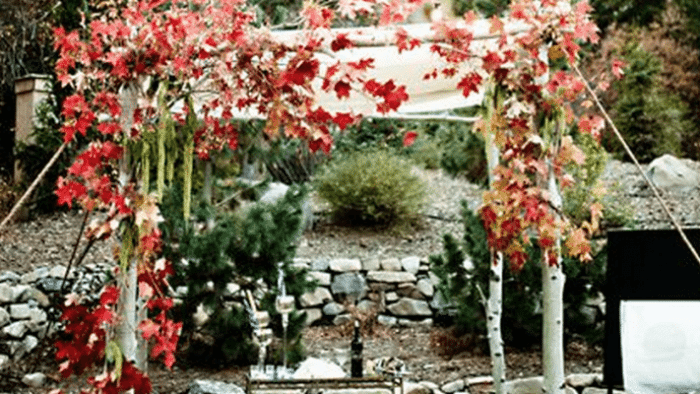 Paired with rich greens and fiery oranges, you’ll have a quintessential autumn design that will never go out of style. 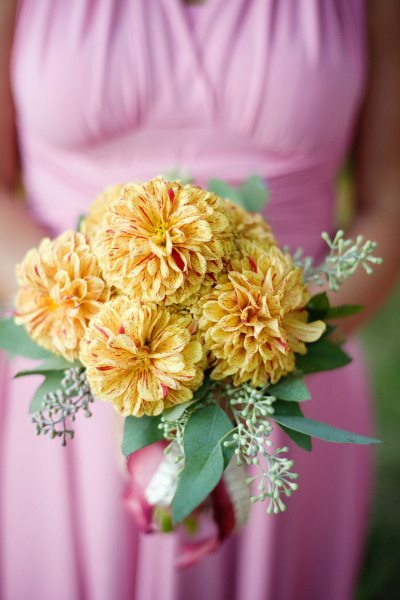 Not to mention, the dahlia is a symbol of inner strength, creativity and beauty. We love the whimsy, romantic nature of a pure queen anne’s lace. 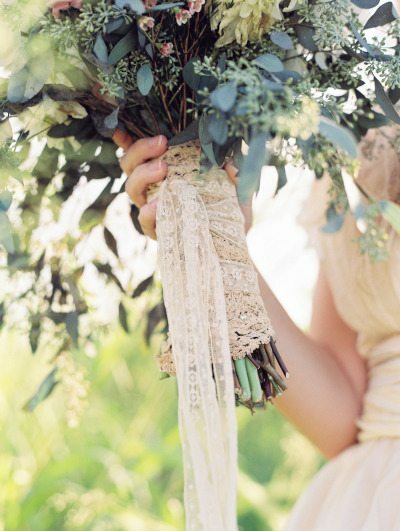 Usually used as fillers, we also like the idea of bridesmaids carrying bouts of fluffy lace. And with the meaning of peace and sanctuary, you’ll walk into a marriage set out on the right foot. Another great way to stand out and pay homage to the season is to use multi-textures and unique pieces. 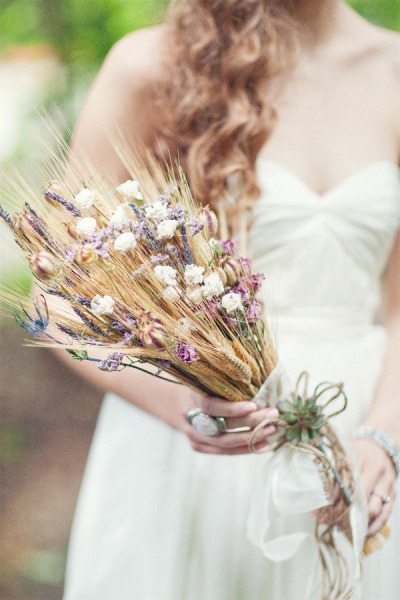 From lush wheat bouquets to acorn fillers, we love all the wonderful ideas that trendy brides are spreading around the wedding world. Don’t be afraid of color and don’t be afraid to mix in some fun essentials with your florals!